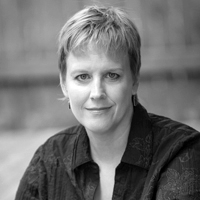 Debra Komar is a forensic anthropologist who has recently written books about crimes that have happened long ago in the Maritimes; The Ballad of Jacob Peck and The Lynching of Peter Wheeler. 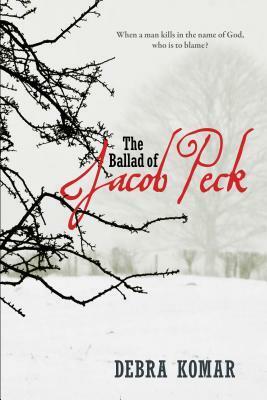 The Ballad of Jacob Peck tells the story of a crime that happened in Shediac, New Brunswick in 1805. Komar re-visits the evidence and existing documents to piece together what really happened. In addition, she gives us the history of the surrounding areas as well as the justice systems that were in place at the time of the crime, and how this case has played a part in the maturation of our Canadian justice system. Despite its garbled history, the tragic events in Shediac Parish during the winter of 1805 remain one of the most compelling and enduring murder cases in Canadian history. Set against the backdrop of a criminal justice system in its infancy and encompassing elements of madness, religious fervour, class warfare, and institutionalized bigotry among the English-speaking settlers and their Acadian and First Nations neighbours, the tale of Amos Babcock, Jacob Peck, and Mercy Hall is as salacious, controversial, and riveting today as it was more than two hundred years ago. Where does one person’s right to free speech end and another’s responsibility for his or her own actions begin? This centuries-old question has come up for debate time and again, most recently by the creation of social media and cyberbullying. “The modes of communication might have changed but the fundamental issue remains the same”. Anyone interested in Canadian Law or the history of Canadian Law would be interested in this book. Komar re-constructs the steps taken in the solving of the crime and trial of the accused, as well as points out any mistakes that were made or laws that have since changed. For me, this was not as interesting as the story itself, the characters involved and the history of the area as well as other crimes and trials that took place around the same time as the Babcock trial. I especially loved the background information she was able to give about some of the characters and their families; where they came from, who their parents and siblings were, where the family was from and why they moved from one place to another. These people were some of the people walking around Nova Scotia and New Brunswick over two hundred years ago, helping to shape the provinces we live in now. Just recently I had the pleasure of going to our local library to hear Debra Komar speak about forensic science and about her books. She was well-spoken, knowledgeable, and personable. The atmosphere was very casual, there weren’t many of us in the audience, so anyone who had a question was able to have it answered. First, she talked to us about what she has done as a forensic anthropologist and some actual cases she has worked on. Then she explained her series of four books. Two are out now, two have yet to come out. Each book involves a crime that took place sometime in the past, and that Komar has used to investigate questions that are still relevant today regarding kinds of evidence and how it is used in criminal trials. I am glad that I went to hear Debra Komar speak, and encourage anyone else who is able to go. I plan on eventually reading all four of her books. It’s a fun way to learn about some local history! These crimes that have been committed had a profound effect on society in the surrounding areas, helping to shape our country and our laws. Have you read any good true crime books that take place in an area close to you? This sounds intriguing, I love a re-examination of old crimes…..
You might like these books, then. Her newest one is called The Lynching of Peter Wheeler, who was accused and hung, but later found to be innocent. I always like when someone can take an actual historical event and make it accessible to us today. “Crime nonfiction” is not exactly my thing, but this still sounds interesting. I agree. Most non-fiction is not my thing, but this was interesting to me especially because it happened near where I live, so there was a lot of historical information on the area as well as the crime. This sounds like a very interesting approach, although I can’t help thinking about Patricia Cornwell and Jack the Ripper. I have never read anything about Jack the Ripper, but Debra Komar did refer to him and his case as the beginning of crime being entertainment for people in the media. Before him, most murders, etc. were printed at the back of the paper in small print, or even not at all. Cornwell wrote a book trying to forensically figure out who he was. It turns out we just found out he was a Polish guy! At least according to Ken Jennings. Anyway, she was highly criticized for her methods, which apparently weren’t very good. Interesting! Now I’m curious to know what she did wrong. I don’t really know. I was initially interested in reading her book, but after the criticism, I decided not to. And apparently she was wrong, as I understand DNA tests have shown he was a Polish laborer. That’s a good question! I haven’t read any true crime set in an area near me and I think I’d prefer to keep it that way. I find true crime so creepy that I think reading some that occurred near where I live would give me nightmares! Good point. That would be creepy. The good thing about Komar’s books is that they are historical. This one took place over 200 years ago. I majored in anthropology, but I’m far from a forensic anthropologist! It requires so much more training. Still, it’s cool to think that I’m *relatively* close to a forensic anthropologist… closer than many people, at least! This book sounds like a good one. Ooh, now I’m curious to know what you would think about this book. It’s very different from most books I read. Maybe I should read it! I liked the TV series Bones, even though I realize it wasn’t the best, because it was based on the real-life cases of a forensic anthropologist. There are four books in her series (two are not out yet), they are all historical, and each one explores a different question. Her second one, The Lynching of Peter Wheeler (which I haven’t read, but sounds as good, if not better), is about a man who was hung for a crime he did not commit, and where did this investigation go wrong? This is extremely interesting because to large extent few of us today might understand how religious fervour fueled by fanaticism coud lead someone to a gruesome murder. Yes, it might be questioned whether the fanatic fueling someone’s fires is not guilty by association. He probably would be in most judicial systems today – this is actually why Charles Manson has become such a symbol, since he mostly got others to kill on his advice and suggestion. For my own writing currently, I am particularly interested in the religious dimension here. The killer integrates communal values and sees the murder either as saving the victim or as saving the community by a cleansing action where blood has redeeming value, and we know how much ‘blood’ has meant in Western history – from lineage to the sacred value of Christ’s blood, in particular among Catholics. Great to have books dealing with our own reality as well…. The religious aspect of it is what makes it so interesting, for sure. I also liked reading about how this case had an effect on the future of law. Her other 2 books sound intriguing as well.